Trip highlights: On Wednesday--July 22nd, 2009, a total eclipse of the Sun is visible from within a narrow corridor that traverses half of Earth. The total eclipse will cover many cities, including Shanghai, Hangzhou, Haining, Huangshan. Join us to witness the longest total solar eclipse in over a century. Our English speaking tour guide will hold a welcome sign and wait for you at Shanghai airport. Pickup and transferred to the hotel, leisure on your own for the rest of the day. Recommend you to take a walk alone on Nanjing Road, the most famous shopping street in Shanghai (optional). [ Optional ] The solar eclipse in China on July 22-2009: The solar eclipse that will take place on Wednesday, July 22, 2009 will be a total eclipse of the Sun with a magnitude of 1.080 that will be visible in Chengdu, Chongqing, Wuhan, Hangzhou and Shanghai, etc. The solar eclipse is the longest total solar eclipse that will occur in the twenty-first century. Sheshan Marian Basilica Sheshan Marian Basilica is located on the top of Sheshan west hill, the level B basilica was built in 1935. It was even the most famous Catholic church in the far east in the 1940's. Even today many pilgrims visit the basilica to worship the Christian God and "Our Lady". 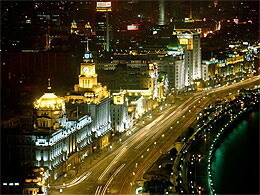 [ Optional ] The Bund: The Bund is always the first thing to hit tourists when they visit Shanghai as it is regarded as Shanghai’s magnificent landmark. It is a waterfront area of Pu Xi (Shanghai Old Town), facing the newer part of Shanghai – Pu Dong. Oriental Pearl TV Tower With 467.9 meters in height, It is the forth tower in height in Asia and the sixth tallest in the world, opposite to the Bund. Its transparent elevator will take you to the top, which will offer a quiet good view of Shanghai. The basement houses the Shanghai Municipal History Museum. 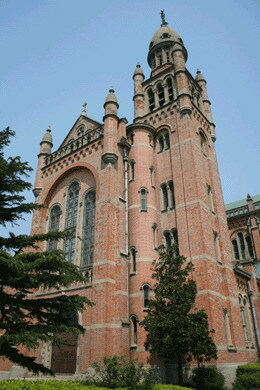 [ Optional ] Sheshan Marian Basilica: Sheshan Marian Basilica is located on the top of Sheshan west hill, the level B basilica was built in 1935. It was even the most famous Catholic church in the far east in the 1940's. Even today many pilgrims visit the basilica to worship the Christian God and "Our Lady". Continue our city tour in the morning. Later today you will be transferred to the airport for flight to sweet home. [ Optional ] Yuyuan Garden: The Yuyuan Garden, also known as the “Yu Garden”, is an eminent classical Chinese garden and famed as “an architectural miracle in South China”. 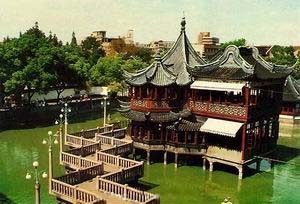 Inside the Yu Garden, you will be fascinated with traditional Chinese style houses, grottoes, pavilions, lotus ponds, and zigzag bridges crossing streams.